Can a laser marking machine make black or white or colorful marking? Because of the different marking demands, some customers need to mark black and white colors, and some even need to mark colorful colors, and the customers often ask us whether the machine can achieve their requirements. TASTELASER is currently capable of achieving customer’s requirements. 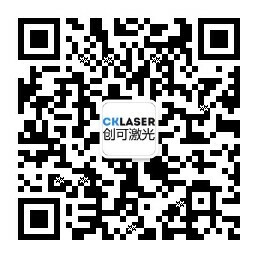 The laser marking machine produced by TASTELASER cannot only mark black and white colors, but can also mark colorful colors. The laser marking machines can use laser beams to mark permanent marks on the surfaces of various matters. The effect of marking is to engrave the exquisite patterns, trademarks and texts by exposing the deep matters after the evaporation of the surface matters and it is mainly used for marking with a certain requirements for the marking quality. As a research, development and manufacturing enterprise with 10 years of experience in the laser industry, TASTELASER has its own unique advantages in the field of laser marking machines, and it can meet the different marking demands of different customers and make samples for customers free of charge.